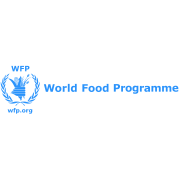 The World Food Programme and the United States Agency for International Development join together with Oxfam America and Swiss Re in a public private partnership to help the rural poor in Africa to protect their crops and livelihoods from climate variability. In 2011, USAID, Swiss Re, UN World Food Program, and Oxfam America committed to expand the R4 Rural Resilience Initiative from Ethiopia to Senegal over the next five years to help the poor protect their crops and livelihoods from the impacts of climate variability and change. R4 will enable poor farmers in Senegal to strengthen their food and income security by managing risks through a four-part approach - improving natural resource management (community risk reduction), accessing microcredit ("prudent" risk taking), gaining insurance coverage (risk transfer), and increasing savings (risk reserves). USAID contributed US$ 8 million to support the expansion to Senegal and the global development of the initiative. Swiss Re supports the R4 initiative as the exclusive insurance sector partner and planned to lead the design and implementation of risk transfer solutions. These innovative solutions form part of a comprehensive risk management program that will give thousands of poor, small-holder farmers the means to manage weather vulnerability and enable the risk-taking essential to economic development. Swiss Re will contribute US$ 1.25 million to the initiative. R4 builds upon the highly successful growth of a multi-year pilot in Ethiopia known as the Horn of Africa Risk Transfer for Adaptation (HARITA) project, which involved a network of global and local partners including Oxfam America, Swiss Re, the Rockefeller Foundation, the Relief Society of Tigray, Dedebit Credit and Savings Institution, Nyala Insurance Company, Africa Insurance Company and the International Research Institute for Climate and Society at Columbia University. Schweizerische Rückversicherungs-Gesellschaft AG (Swiss Re AG) is a wholesale provider of reinsurance, insurance and other insurance-based forms of risk transfer. Dealing direct and working through brokers, its global client base consists of insurance companies, mid-to-large-sized corporations and public sector clients. From standard products to tailor-made coverage across all lines of business, Swiss Re deploys its capital strength, expertise and innovation power to enable the risk taking upon which enterprise and progress in society depend. We have a strong reputation in innovative re/insurance and risk management solutions. We provide wholesale re/insurance products, insurance-based capital market instruments, and supplementary risk management services to Property & Casualty and Life & Health clients and brokers around the globe. We provide traditional reinsurance as well as insurance for corporate clients. Combining global expertise and local knowledge, we provide clients with financially sound risk transfer solutions in all lines of business. We are the leading provider of reinsurance to life insurance companies worldwide. With specialist knowledge of mortality and morbidity trends, we support clients with sustainable, pragmatic solutions. We also acquire closed life and health books of business which we administer through Admin Re®. We manage the assets Swiss Re generates through its business activities. Our Asset Management division sets the Group’s investment strategy, ensuring that assets match our reinsurance liabilities while generating optimal investment returns. Swiss Re is committed to being a responsible company. Based on our Code of Conduct, we have a strategic approach in place that defines and drives key activities across the Group. We identified climate change as a major sustainability challenge almost 20 years ago. Ever since, we have put a special focus on this topic and created a number of innovative responses. We wish to be accountable to our stakeholders and regularly disclose information on our corporate responsibility performance. 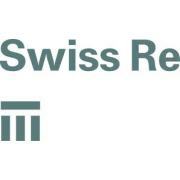 Swiss Re is a signatory to the UN Global Compact and is listed on leading sustainability indexes and ratings. Swiss Re continues to sharpen its focus on core business. Our mission is clear and simple: to be the leading player in the wholesale re/insurance industry. What ‘wholesale’ means to us: focusing on large and complex re/insurance transactions with insurance clients, corporate clients and public sector clients – as well as with pension funds. We anticipate extreme scenarios and enable the risk taking that is essential to the development of enterprise and progress in society. This is what Swiss Re is all about. For our clients, we want to be the preferred partner. This means winning clients’ trust and confidence, and delivering a service unmatched elsewhere in the market. It also means delivering tailored solutions that meet specific needs. To measure these efforts and their success, we ask our clients and broker partners to give us their feedback through an annual survey, introduced in 2007. Over 3 600 responses in 2010 revealed an improvement in average satisfaction ratings of more than 30% from 2007 for our flexibility and our tailoring of coverage, and of over 20% for our account management, ease of doing business and claims service. For our investors, we want to be an excellent investment. Investor confidence is fundamental to our success. In November 2010, we reached an agreement for the early repayment of the convertible perpetual capital instrument (CPCI) issued to Berkshire Hathaway, with no additional charge for bringing forward the repayment date from March 2011, thereby removing a risk of dilution to our investors. In 2011, we have taken steps to normalise our dividend, offering attractive returns to investors. For our employees, we want to be the place to succeed. Our corporate culture attracts and develops top talent from around the globe. Representing more than 80 nations, our employees contribute their skills,diversity and talent to a work culture shaped by mutual respect, thriving in an environment designed to make each of them a success. For our competitors, we want to represent a serious challenge. This means being a top competitor for every opportunity for which we have an appetite to write business. We also want to be known as the innovator and thought leader in the industry. For society, we want to be a trusted partner. This means being socially responsible and a leader in creating public-private partnerships that help secure prospects of societies in the event of a disaster. In 2010, for example, Swiss Re introduced an index-based insurance programme – a first in Southeast Asia – that was developed for the Vietnam Agribank Insurance Joint Stock Company to cover loans to rice farmers in Vietnam. In addition to its Boston-based headquarters, Oxfam America maintains a Policy & Campaigns office in Washington, DC, and seven regional offices around the world. Together with individuals and local groups in 94 countries, Oxfam saves lives, helps people overcome poverty, and fights for social justice. They are one of the 17 affiliates in the international confederation Oxfam. Oxfam america works not only through offices on five continents, but also as part of the oxfam confederation: 17 sister organizations working collaboratively in more than 90 countries. Their vision: A just world without poverty. Their mission: To create lasting solutions to poverty, hunger, and social injustice. 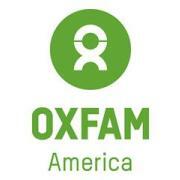 Oxfam America works on the scene, helping people gain the hope, skills, and direction to create a new future. We are also active in the global arena, addressing social injustice through their advocacy, public education, and emergency assistance programs. East Asia: Oxfam works to improve the lives of families by building their skills in pond aquaculture, natural vegetable gardening, rice farming, and small businesses. West Africa: Oxfam works to build up resilience in the face of disasters; campaigns around community rights related to oil, gas, and mining; and supports community finance and livelihoods efforts. Horn of Africa: Oxfam supplies emergency aid to communities when needed, but we also work to help people improve their means of making a living, thereby fostering their self-sufficiency. Sudan: Oxfam works in Sudan and South Sudan, protecting public health and providing people facing particular struggles –such as single mothers and people with disabilities – with skills and assets they need to earn an income. South America: Oxfam helps indigenous people, women, and other groups protect their natural resources and defend their rights, while also improving people’s safety in the face of disasters. Central America, Mexico, and Caribbean: Oxfam supports women, rural communities, and small farmers as they raise their voices to defend their rights, improve their incomes, and protect their lands and livelihoods. United States: Oxfam partners with local groups to tackle the fundamental causes of poverty and foster social change to alleviate it.